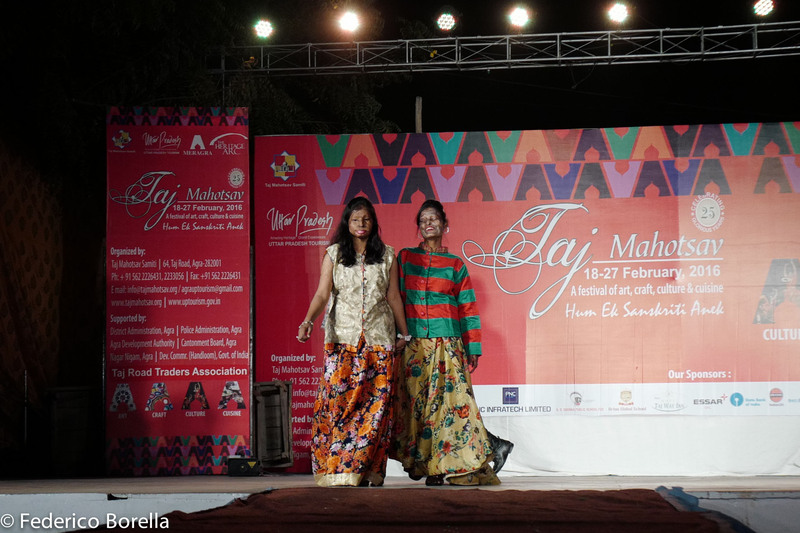 Taj Mahotsav is an annual event in the calendar of Agra that acts both as a cultural show as well as a platform for the artisans of India to showcase their craft and art. 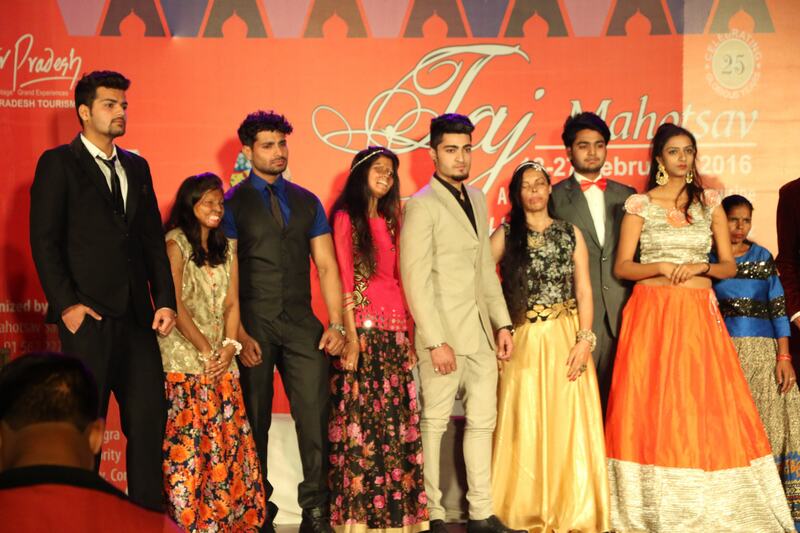 However this year’s Taj Mahotsav had something special. 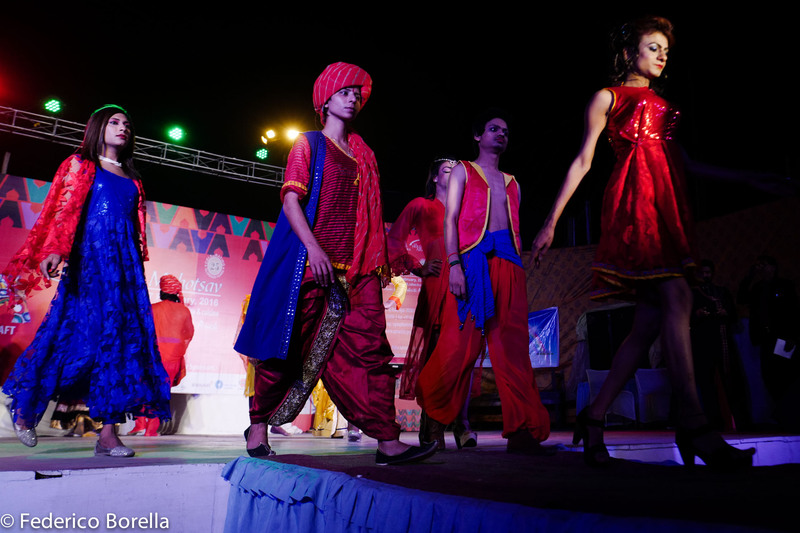 For the first time in its history, Agra and Taj Mahotsav were witness to a LGBT Fashion Show on February 24th. 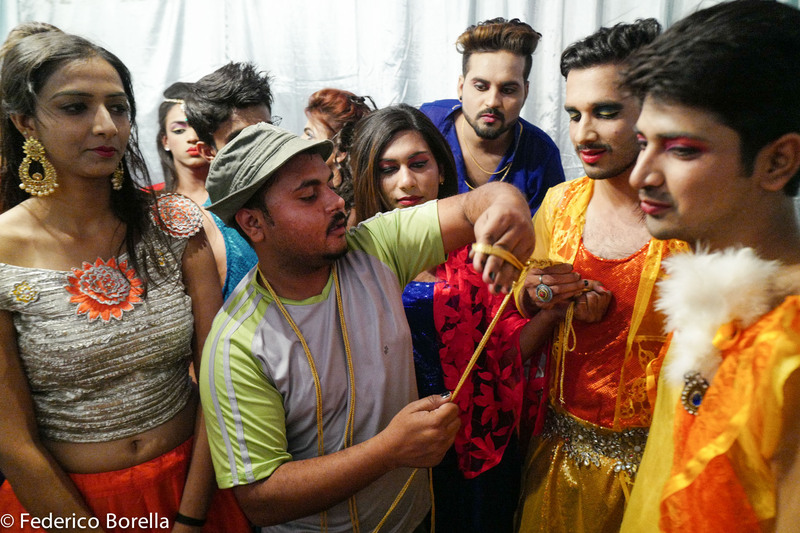 The LGBT fashion show at Taj Mahotsav was the brainchild of Atul Kumar, a fashion designer who has also been working with acid attack survivors for a long time. 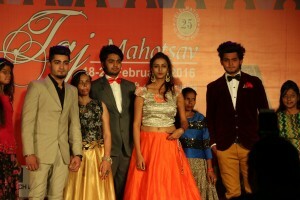 When he was invited to be a part of the Taj Mahotsav festivities this year and showcase his collection, Atul thought of more than just showcasing his design. 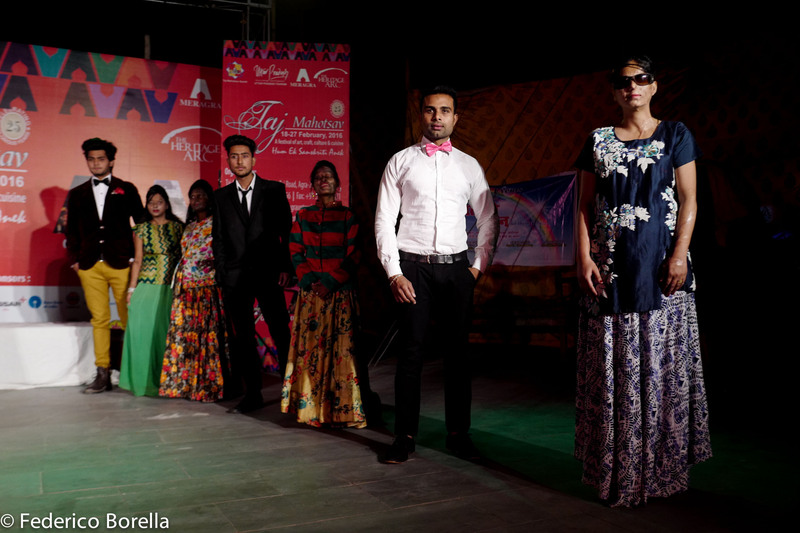 He based the fashion show on the theme “A Catwalk Against Discrimination” and brought together acid attack survivors and LGBTQ members, two groups that he says face a lot of stigma and discrimination in the society, and with whom he has been personally associated. 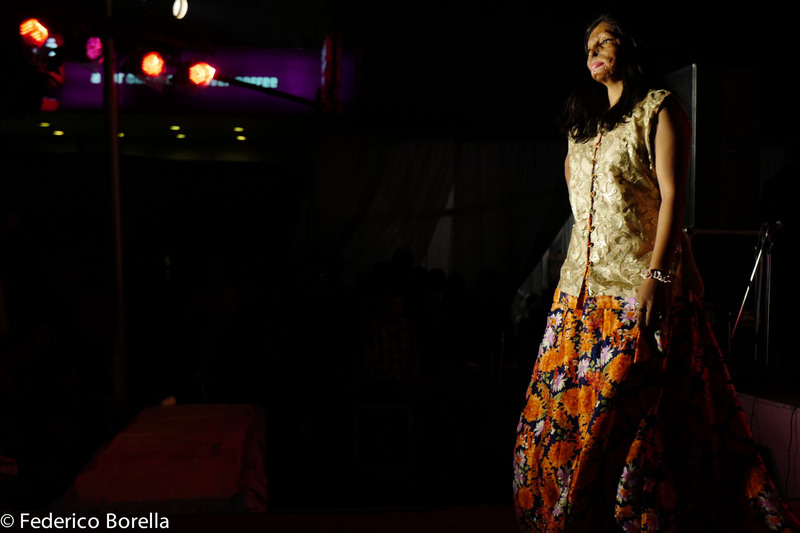 The Fashion Show comprised of three segments- the first segment had Acid Attack Survivors walking the ramp. 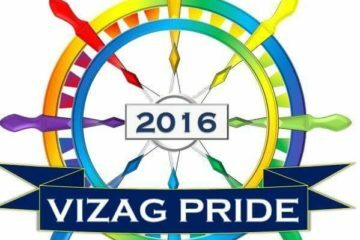 This was followed by the LGBT segment where 20 members of the LGBT community took part. 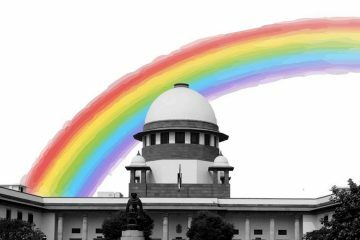 The last and concluding segment comprised of LGBT members, Acid Attack Survivors and straight men walking together, signifying an end of discrimination. 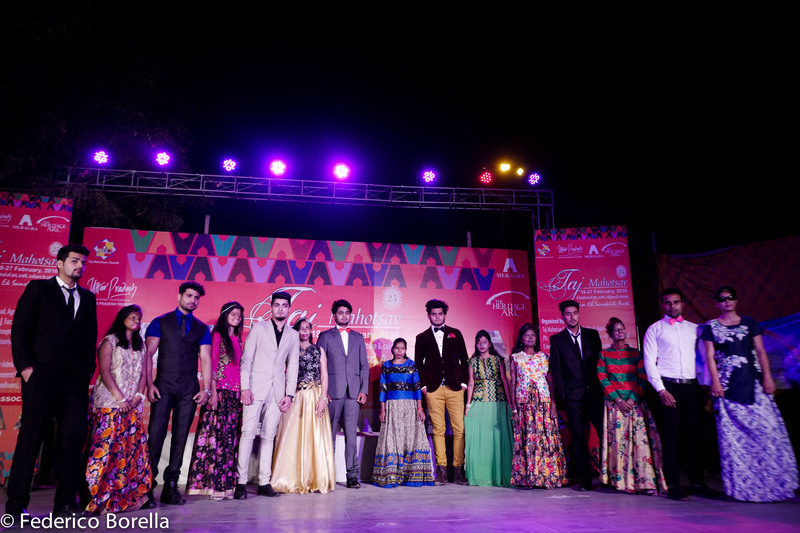 And thus, on a beautiful evening at Sadar Market in Agra, as the crowd munched on their food at the various fast food corners, the Emcee made announcement of a unique fashion show. 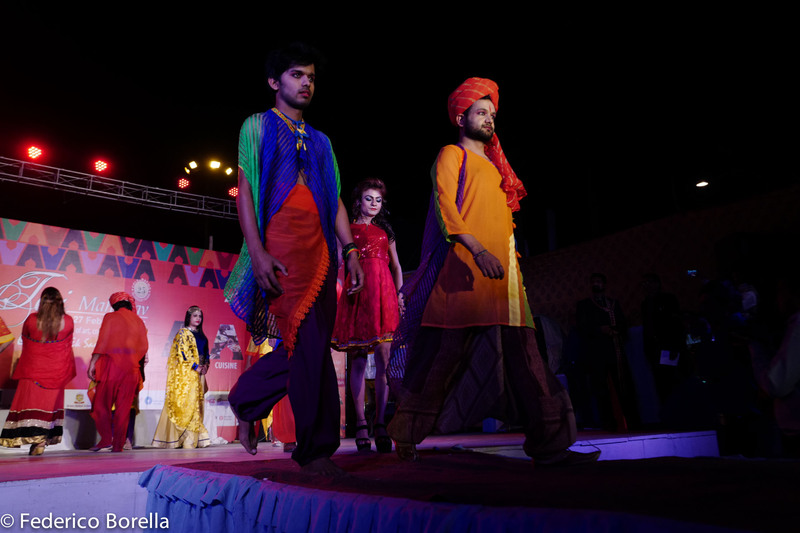 As word about the LGBT Fashion show spread, more people started thronging the venue. 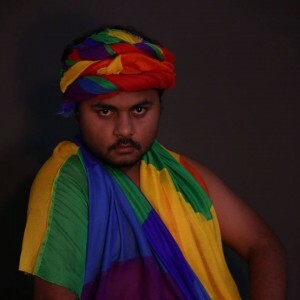 The creations of Atul were uniquely rainbow in fashion. 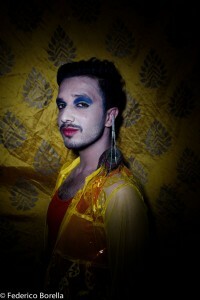 “I thought of using rainbow and have LGBT people model for the show,” says Atul. 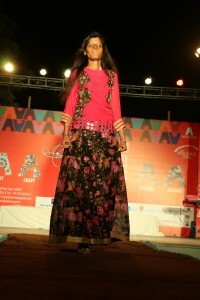 Delhi based HIV/AIDS activist Gautam Yadav opened the LGBT segment of the show. 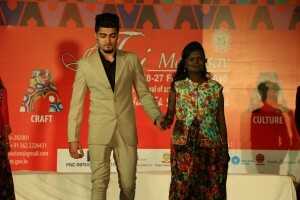 Gautam is a United Nations campaigner and had come to Agra specially for the show, like some of the other participants. 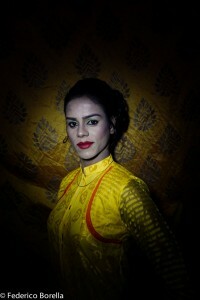 The models who walked the ramp were from all hues of the rainbow- lesbians, gays, bisexuals, transgender and gender queer. 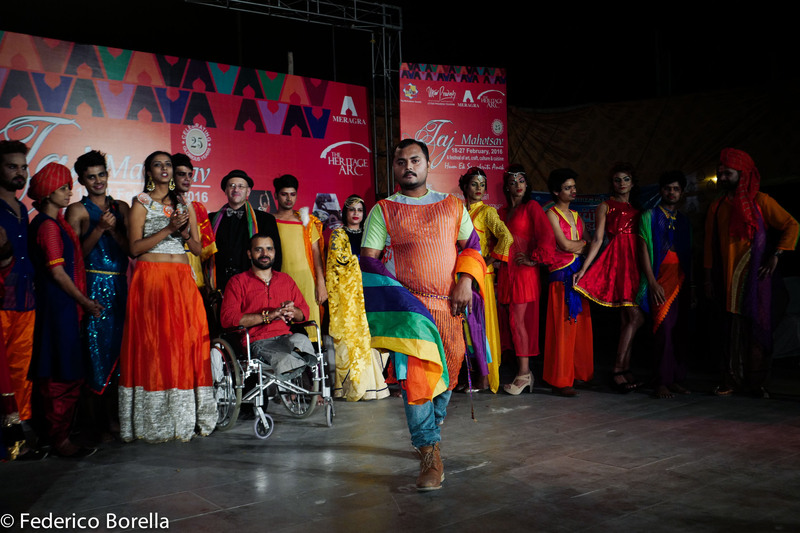 However the showstopper of the show was Balbir Krishan, a differently abled gay man and a famous painter whose paintings have been exhibited in Delhi and other cities. 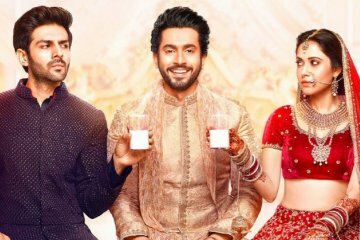 Balbir, who last year married his American partner Michael Giangrasso in a civil ceremony in the USA, had come with his partner. 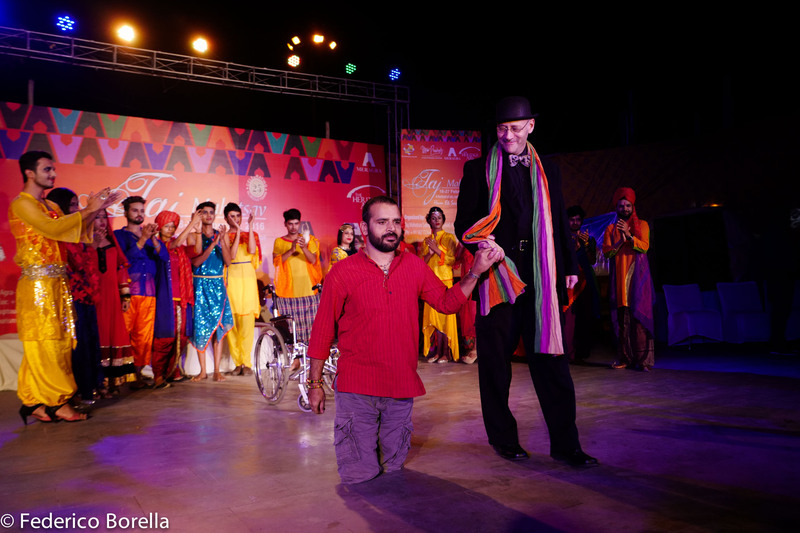 A double amputee who lost his legs after an accident, Balbir walked the ramp with Michael in a wheel chair. 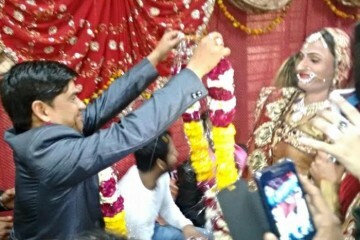 Mid way, he left the wheel chair and started walking on his amputated legs, with his partner by his side. 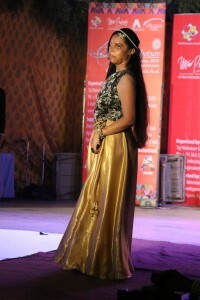 This had the crowds cheering and left them amazed. 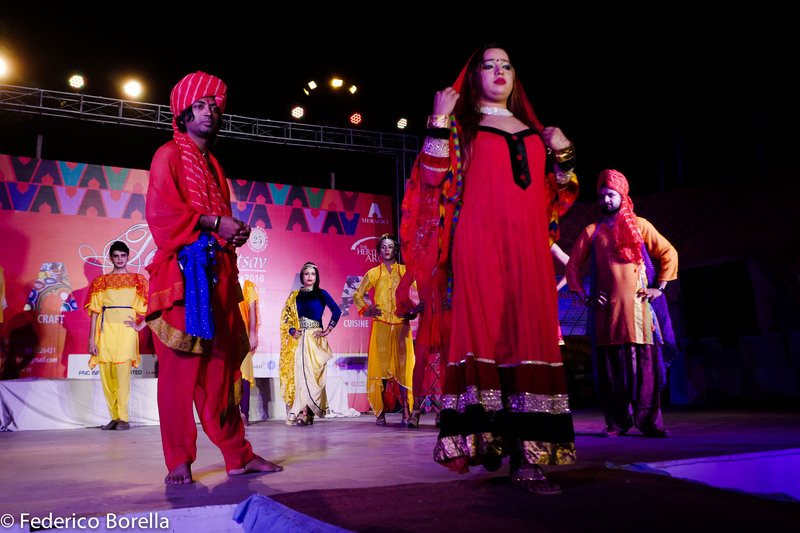 “There was an over-whelming response from the crowd and non-stop applause at Balbir’s gesture,” recalls Atul. 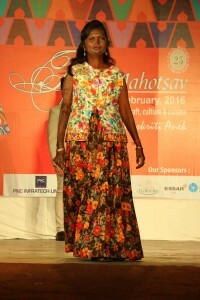 Update: An earlier version of the article had incorrectly mentioned the date of the Fashion Show as Feb 23rd.